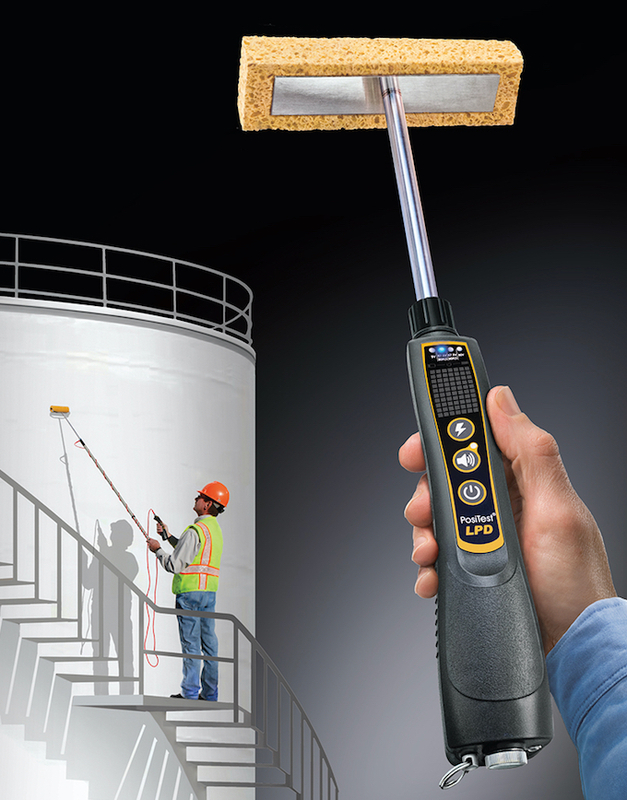 The PosiTest LPD Low voltage Pinhole Detector detects holidays, pinholes and other discontinuities on metal and concrete substrates. 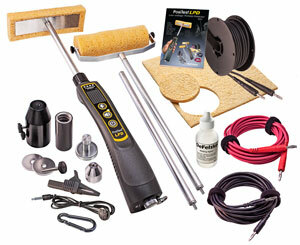 Includes contents of the Basic Kit, plus adaptable sponge hardware and extension accessories in a hardshell case. -Calibrated (well‐regulated) voltage outputs that will not drop under load. 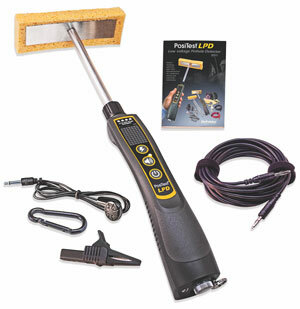 The PosiTest LPD is more likely to find small pinholes than other devices. -GroundSense™ visibly reassures the user that the instrument is properly grounded. Users of most competitive devices would not alert if the connection to ground is lost, resulting in undetected pinholes. -Common threads and connectors that allow for unprecedented compatibility and customization. Customers can extend the reach of the PosiTest LPD with their own poles and extension rods. -All models include a hard shell case to conveniently carry the instrument and all accessories. -IP65 ingress protection‐ dust and splash resistant. No other device is rated this highly. How is the PosiTest LPD calibrated? PosiTest LPD Accessory Pack- convert the PosiTest LPD Basic Kit into a PosiTest LPD Complete Kit.